Niagara IceDogs (3-1-0-0 | 6pts) vs Sudbury Wolves (3-2-0-0 | 6pts) 7:00pm. 1) Tonight’s game marks the first between these two Central Division rivals this season. 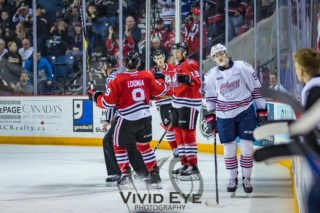 2) In 2017-2018, the season series between the IceDogs and the Wolves was tied at 3 games each. 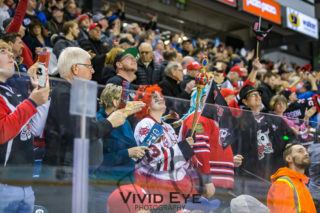 The Wolves won the first 3 games, while the IceDogs took the final 3 games – including wins by a score of 7-4 and 6-2. 3) Akil Thomas and Ben Jones collected at least one point in every game against Sudbury in the 2017-2018 season. Jones picked up 6 goals and 4 assists, while Thomas collected 1 goal and 8 assists. 4) Ben Jones (3G, 3A) – Kirill Maksimov (3G, 3A) are currently on a 4-game point streak. 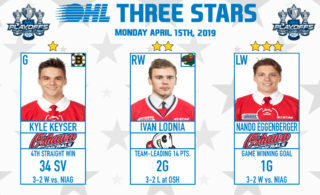 5) ‘Dogs forward Bradey Johnson currently leads the league with 2 game-winning goals, having been scored in our 3-1 win over Kingston, and our 6-1 win over North Bay. 6) Captain Ben Jones (51) and Kirill Maksimov (52) have now scored over 50 goals as an IceDog. 7) The IceDogs have the 14th ranking home powerplay, and the 11th ranked home penalty kill, with a 85.7% efficiency rating. 8) The Wolves’ away power play ranks 4th with 22.2% efficiency, while their away penalty kill is ranked 19th with 62.5% efficiency. 9) Sudbury is led on the scoresheet by 2018 OHL Priority Selection first overall pick Quinton Byfield, who has 6 points. 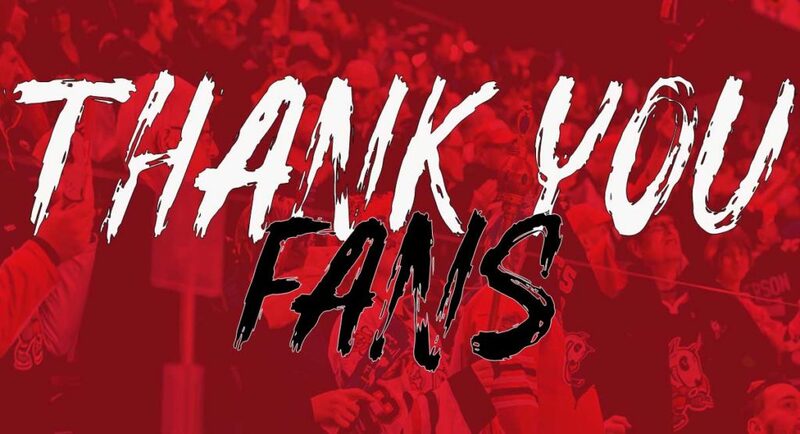 10) In the 2017-2018 season, the IceDogs finished the season fourth in the Eastern Conference, with 80 points, while the Wolves finished in 10th, with 43 points.